Owen Bonnici’s intellectual faculties have never moved the earth. In Maltese we have a very specific word for the shallow well-meaning: baħbuħ. His party militants have thrown him on the frontline of a battle he has nothing to do with. And his party bosses have shot him in midair as an alternative target in place of themselves. 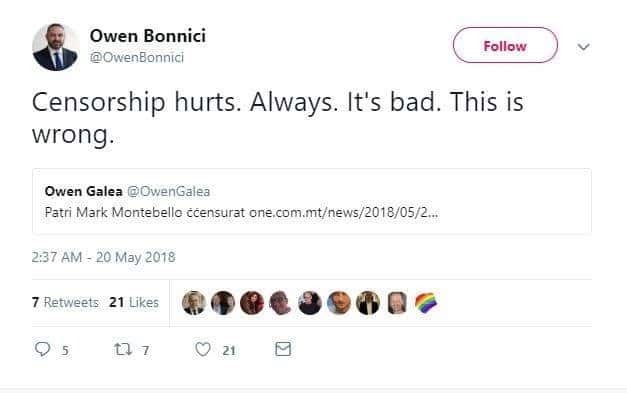 Look at this tweet from mere months ago when Owen Bonnici stepped in to defend a monk disciplined by his convent superior for stepping out of his monastery’s line. As Minister for Culture Owen Bonnici is not responsible for the extent of openness for debate within a religious organisation. And yet, so principled he is, he stepped right in that issue. Censorship hurts. Always. It’s bad. This is wrong. Except when you’re the censor, Minister Bonnici. You are Minister for Culture when nothing could be more barbaric than silencing people from speaking their minds. Some people think censorship is about not allowing erections on video and breasts on stage. And that if they can see erections on video and breasts on stage they are living in a free country. Governments, I agree, have no role in being moral guardians that filter what anyone is allowed to see. But the real test of openness is if governments restrain their own power to censor what displeases them. 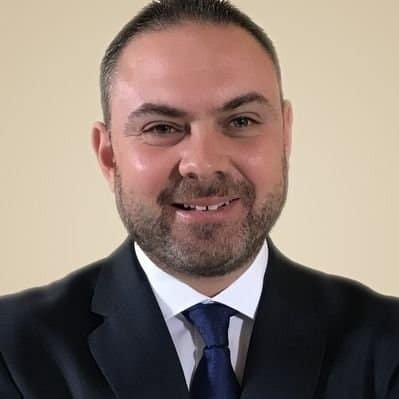 In the case of the banner Owen Bonnici has repeatedly removed, he has trashed the Maltese flag a symbol he rejects should represent the call of Maltese citizens in disagreement with his government. The Maltese flag can fly comfortably on the passport of a billionaire crook staying here for the time it takes him to drive between their private jet and the passport office: but protesters like us have no right to claim the flag of Malta. He has trashed an image of Daphne Caruana Galizia because she was critical of him and his government because her death was as politically damaging to the government as was her life and brilliant career because they hate her and hate her memory and hate those who still remember her. He has trashed the word ‘Justice’ of which as Minister he’s supposed to be the guardian and the most resolute defender. The combination of ‘Culture’ and ‘Justice’ in the responsibilities of a Minister may seem eclectic. But failure to deliver one is the failure to deliver the other. Not incidentally the first Minister to resign in Slovakia when Jan Kuciak was killed was the Culture Minister, responsible to protect free speech in his country. Owen Bonnici presides, on behalf of the crooks he is covering for, over a daily public act of barbaric injustice.